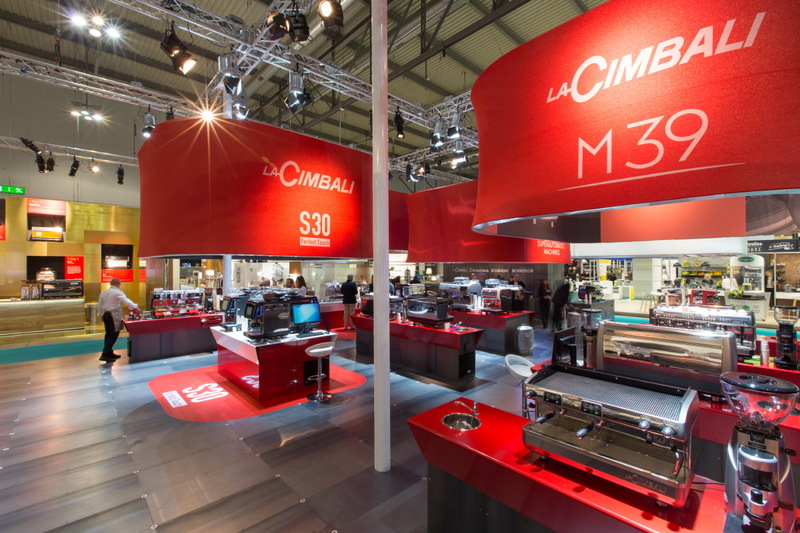 LA CIMBALI – CIMBALI GROUP: the LaCimbali S30 and LaCimbali M100i Coffee Milk Intelligence, two advanced technology and design machines will be presented at HOST 2015. “Coffee starts here” is the new payoff defining the brand... The LaCimbali S30 is a superautomatic machine with a revolutionary 10.4" touchscreen display providing innovative man-machine interaction and an integrated dual-direction WIFI system making it possible to analyse consumption data and update software. The M100i Coffee Milk Intelligence is a traditional machine fitted with an innovative integrated system – a grinder-doser that can guide the barista step-by-step in preparing the coffee, as well as a new automatic system for preparing and dispensing hot and cold foamed milk; both substantial innovations in the sector for traditional professional espresso and cappuccino machines. In short, these are the innovations that La Cimbali - a brand of the Cimbali Group from Milan that is the world leader in the design and manufacture of professional machines for making coffee, drinks with a fresh milk base, soluble drinks, and equipment for use in coffee machines - will be presenting at the HOST Equipment Coffee Food – 39th Hospitality International Exhibition (Pavilion 15, stand no. L54 L62 N53 N61). Thanks especially to a simple and intuitive interface that can be customised and with one of the largest touchscreens on the market, the LaCimbali S30 provides different display options for the drinks offered. It can also support the customer in selecting their drink using video clips and sound that can be downloaded with a USB stick. The integrated dual-direction WIFI system makes it quick and simple to update software, regulate recipes and customise the interface images. Another innovation from the new La Cimbali superautomatic is the PGS or Perfect Grinding System. This system constantly controls the parameters for dispensing coffee, by automatically correcting the grinding and ground dosage, so as to ensure constancy in the dispensing time and optimal extraction quality. 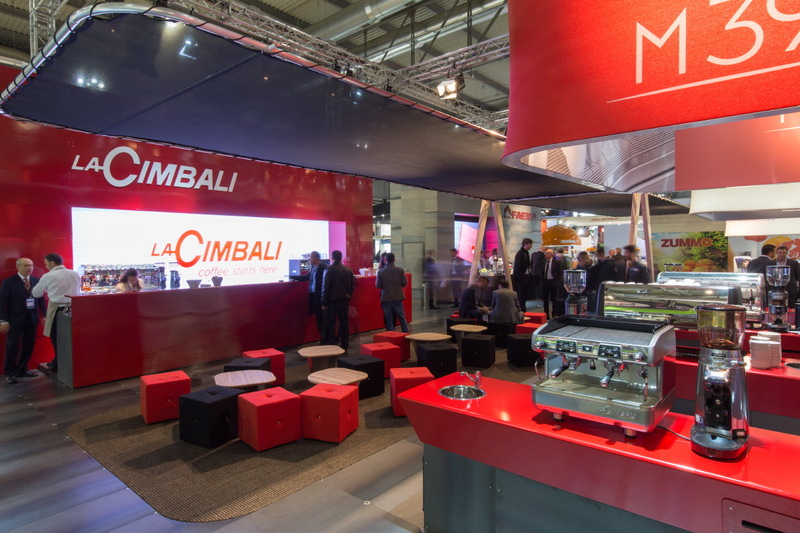 The LaCimbali M100i represents La Cimbali's mission to design and manufacture machines with a high technological content, elevating the simplicity of using a traditional machine to the level of a superautomatic, and optimising the movement and manual actions of the barista when preparing a coffee and a cappuccino. The “Barista Drive System” is the name of the new technology patented by the Cimbali Group and launched on the market by the M100i, it operates simply and intuitively: the barista just needs to position the filter holder associated with a recipe. Thanks to a sensor, the “Magnum on demand” grinder-doser recognises the type of filter holder, providing the correct quantity of ground coffee, while at the same time, communicating to the machine which selection needs to activated to prepare the drink required. At this point, the barista only needs to position the filter holder and press the dispensing key. Thanks to the new automatic “Turbo Milk” system, the M100i becomes the first traditional machine to automatically dispense hot milk (with or without foam) and cold foamed milk from a single nozzle. The system also makes it possible to programme the emulsion levels, and quantity and temperature of the milk. Finally, the new “Turbo Steam Cold Touch” improves the usage of the Turbosteam feature patented by the Cimbali Group. The special insulating and non-stick covering keeps the steam nozzle cold before, during and after dispensing the steam, making the passage and cleaning of the nozzle easier. The characteristics of the M100i make it ideal for locations where high productivity and an extensive range of milk-based drinks is needed. Host will also provide an opportunity to present the new application developed by Cimbali Group on the PLAT-ONE platform. This allows the data collected by the machines connected by WIFI to be displayed and represented, thus bringing the world of the ’“internet of things” to the sector of professional, traditional and superautomatic coffee machines. 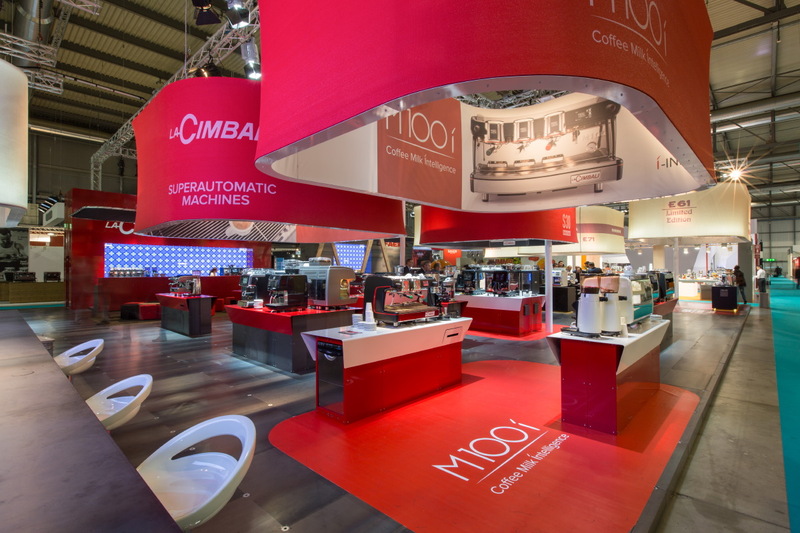 HOST 2015 will ultimately provide the stage for presenting La Cimbali's new brand identity expressed in its new payoff “Coffee starts here”. On the one hand, this underlines the importance of the brand in the history of coffee, and on the other, the wide variety of espresso coffee-based drinks dispensed every day from La Cimbali machines to satisfy international tastes and trends.